Why did this happen and what are the consequences? Tired of the infighting and perceived lack of progress on bitcoin’s scaling debate, and unhappy with the decision to go ahead with the SegWit upgrade (which would increase block capacity – but not its size – by restructuring how transaction data was stored), a group of community participants developed an alternative bitcoin with different characteristics. The new version increased the block size from 1MB to 8MB. It also excluded SegWit, which some felt was no more than a temporary patch to bitcoin’s scaling problem. Some were also worried that the second layer networks that SegWit enabled (at time of writing these are still in development) would deflect transaction volume from the main network and diminish bitcoin’s importance. A further difference in the bitcoin cash protocol is the difficulty adjustment mechanism. To maintain a relatively even flow of blocks, the bitcoin protocol adjusts the difficulty factor of the hash puzzle (how hard it is to find the nonce that produces a hash within the specified parameters) every 2016 blocks. With bitcoin cash, the difficulty adjustment is much more agile, adjusting every 600 seconds according to the amount of computing power on the network. This gives the new protocol a fighting chance at survival. If miners don’t mine a coin, it dwindles away. With bitcoin’s price so much higher than that of bitcoin cash, the latter would only be profitable to mine if it were much easier to do so. In other words, the value of the coin may be lower, but a miner would successfully process blocks more frequently, and collect more bitcoin cash tokens as a reward. Bitcoin cash can be purchased at a wide range of big-name exchanges, with Bitfinex, GDAX, HitBTC, Bitstamp and Poloniex handling over 90% of the US$ volume. 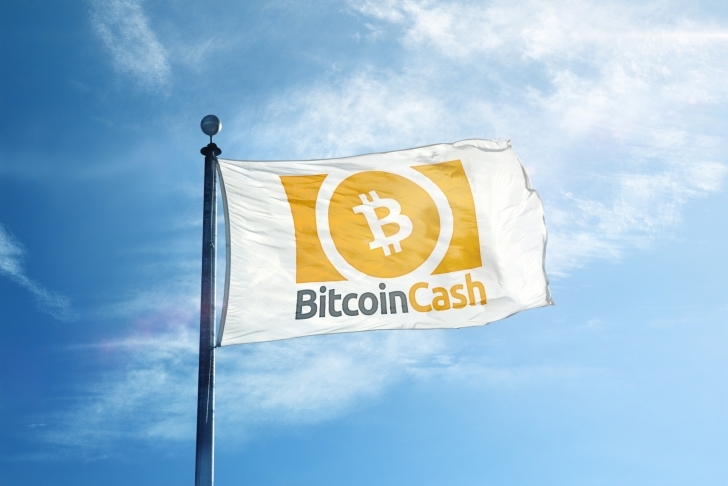 After some initial confusion, most exchanges have settled on the ticker symbol BCH, although a few still use BCC (which is also used to denote Bitconnect, even more confusing). At time of writing, over half of bitcoin cash volume comes from trades out of bitcoin. Most of the demand from fiat currencies comes from the US dollar and the South Korean won. You can follow bitcoin cash price movements on CoinDesk’s price tracker. On May 15, bitcoin cash’s protocol is due to upgrade via a hard fork (which means that the whole network will need to enable the new version to be able to continue participating). The upgrade will further increase the size of the blocks, from 8MB to 32MB, and will introduce a more sophisticated smart contract capability as well as other features such as the expansion of its time stamping, asset creation and rights management function. As with all digital tokens, whether bitcoin cash lasts or not remains to be seen. However, market acceptance has been increasing since the launch, with some large retailers accepting payments in the cryptocurrency. What’s more, key industry participants such as Coinbase and Circle have recognized that demand has exceeded their expectations. And an increasing number of crypto hedge funds are including BCH in their holdings, in response to investor demand. CoinDesk will keep you informed about news and updates on bitcoin cash – you can follow them here.